Below is a summary of what passed in the Judiciary / Law and Order for 2016. The first section is Judiciary (Law) and the second section is Early Learning (Schools). Jump to Early Ed Section. Concerning Court Transcripts – Provides that certified court reporters and authorized transcriptionists (in addition to official court reporters) may make official transcripts of testimony and other court proceedings. Exempts transcripts requested for appellate cases from the requirement that transcripts must be filed with the trial court. Makes the Administrator for the Courts a consultant for the implementation of electronic recording equipment in courts of limited jurisdiction, instead of a required supervisor. Modifies terminology regarding storage mediums for duplicated recordings of court proceedings. Providing Procedures for Responding to Reports of Threatened or Attempted Suicide – Requires all law enforcement agencies to adopt criteria and procedures by July 1, 2017, for an officer to refer a person to a mental health agency after receiving a report of the person’s threatened or attempted suicide. Requires the Washington Association of Sheriffs and Police Chiefs, in consultation with the Criminal Justice Training Commission, to develop a model policy for officer referral to a mental health agency following a report threatened or attempted suicide. Provides that a mental health professional must attempt to contact any person referred by law enforcement within 24 hours of the referral, excluding weekends and holidays. Updating Obsolete Provisions and Making Technical Corrections – Amends form year designations throughout the Revised Code of Washington (RCW) by removing references to a specific century and instead providing a general instruction to insert the year as follows: “(year).” Removes obsolete language in various sections of the RCW and corrects technical errors. Concerning Video and/or Sound Recordings Made by Law Enforcement or Corrections Officers – Establishes Public Records Act provisions governing requests for and disclosure of body worn camera recordings made by law enforcement and corrections officers between the effective date of the act and July 1, 2019. Exempts body worn camera recordings from public inspection if nondisclosure is essential to protect a person’s right to privacy, and creates presumptions that recordings depicting certain people or situations are highly offensive. Requires requests for disclosure of recordings to identify specific recordings sought, and allows agencies to charge redaction costs except in certain cases. Requires agencies that deploy body worn cameras to adopt policies that at a minimum address specified issues relating to use of body worn cameras. Encourages cities and towns to adopt an ordinance or resolution authorizing body worn cameras before they are used in the jurisdiction. Creates a task force to review and report on the use of body worn cameras by law enforcement and corrections agencies, model policies on body worn cameras, retention and retrieval of data, and other issues. Requiring a Court that Consults the Judicial Information System to File a Copy of the Consulted Information in the Court File Only Upon Party Request – Provides that the requirement for a court to file a copy of any relied-upon document in the case file after consulting the Judicial Information System or a related database applies only if a party requests that the document is so filed. Concerning the Role of Parties in Cases Related to Certain Notices and Records – Requires the petitioner in a criminal case, or an involuntary mental health commitment case, that results in loss of firearms rights to provide the court with certain identifying information of the convicted or committed person. Amends laws governing juvenile records to broaden the definition of “official juvenile court file.” Amends statutes relating to a number of different court proceedings to provide that a party in the case, rather than the clerk of the court, must provide certain notices or issue summons in the proceedings. Requiring Inclusion of Information about Certain Criminal Defendants in the Felony Firearm Offense Conviction Database – Requires any person convicted of a felony firearm offense that was committed in conjunction with a crime involving sexual motivation, a crime against a child, or a serious violent offense to register in the felony firearm offense conviction database. Providing Court-Based and School-Based Intervention and Prevention Efforts to Promote Attendance and Reduce Truancy – Makes a variety of changes and additions to practices and requirements related to school attendance and truancy, including: requiring schools to regularly provide certain information to parents; putting in place a coordinated school response to excused absences in elementary school; requiring, by the 2017-18 school year, that juvenile courts and school districts enter into memoranda of understanding (MOU) regarding a coordinated approach to address truancy which, for most districts, will include a community truancy board (CTB) and, for smaller districts, may include a CTB or other coordinated means of intervention; redefining CTBs and providing, subject to funding, grants for training and services; specifying that a priority focus of the Learning Assistance Program (LAP) shall be on students with excessive absenteeism and truancy, and providing that up to two percent of a district’s LAP allocation may be used to fund efforts to address this issue; providing, with respect to truancy petitions, an initial stay if the MOU and coordinated approach to address truancy have been put in place by the court and district; providing courts with additional authority with respect to children subject to truancy petitions for addressing mental health, substance abuse, and health and safety concerns; expressing a preference that children detained for contempt of court with respect to truancy be detained in a CRC rather than a juvenile detention facility; directing, subject to funding, an increase in the number of CRC and HOPE beds; tasking the Educational Opportunity Gap Oversight and Accountability Commission, the Washington State Institute for Public Policy, and the Administrative Office of the Courts with a variety of responsibilities related to collecting data, reviewing, and reporting with respect to issues related to attendance, truancy, CTBs, and detention. Concerning Recorded Interests in Easements by an Electric Utility – Provides that if an electric utility has a recorded interest in an easement, any foreclosure of delinquent taxes on any tract of land subject to the easement, and any tax deed issued pursuant thereto, are subject to the easement regardless of when the easement was established. Concerning Entry of Less Restrictive Involuntary Treatment Orders– Requires a court order for less restrictive alternative (LRA) treatment to name the provider responsible for arranging services and require the person on the LRA order to participate in arranged services, rather than requiring that the order itself list specific services. Requires care coordinators to submit an individualized plan to the court indicating the services in which a person on an LRA order is required to participate. Concerning Animal Forfeiture in Animal Cruelty Cases – Provides that, upon a successful petition for return of an animal that has been removed from its owner’s care, the animal must be surrendered to the owner, rather than delivered to the owner. Requires a petition for return of a removed animal to be joined with a criminal action against the owner if the action is filed before the hearing on the petition, rather than before the time the animal is returned. States that the authority of specified persons and entities to remove, adopt, euthanize, or require forfeiture of an animal is not limited by the forfeiture provisions and limitations on animal ownership in the criminal sentencing provisions related to animal cruelty. Repealing the Warrant Authority of Coroners – Repeals the authority and duty of coroners to issue arrest warrants in certain circumstances, and instead requires coroners to deliver the findings of the inquest jury and associated information to the prosecuting attorney in applicable cases. Providing for Suicide Awareness and Prevention Education for Safer Homes – Establishes a Safe Homes Task Force to develop suicide awareness and prevention education messages and training and implement advocacy efforts with key stakeholders to pair suicide prevention training with distribution of devices for safe storage of lethal means. Creates a Safe Homes Project to certify firearms dealers and firearms ranges that meet specified requirements as Safe Homes Partners. Requires licensed pharmacists to complete a one-time training on suicide assessment, treatment, and management. Amending the Process for a Person’s Immediate Family Member, Guardian, or Conservator to Petition the Court for the Person’s Initial Detention under the Involuntary Treatment Act – Requires a petition for court review of a designated mental health professional’s (DMHP’s) decision not to seek a person’s detention under the Involuntary Treatment Act to be filed in the county in which the DMHP investigation was requested or occurred. Addressing the Foreclosure of Deeds of Trust – Revises expenditures from the Foreclosure Fairness Account (Account). Changes the trigger for remittances to the Account, repealing the section that required certain beneficiaries to remit based on the number of notices of default issued and including a new section that requires certain beneficiaries to remit based on the number of recorded notices of trustees’ sale. Concerning the Revised Uniform Fiduciary Access to Digital Assets Act – Adopts the Revised Uniform Fiduciary Access to Digital Assets Act. Allows persons to provide direction regarding disclosure or nondisclosure of his or her digital assets to third parties. Provides fiduciaries with the authority to access and manage the digital assets of a person if the person has not made a direction regarding disclosure. Defines “fiduciary” as a personal representative of a decedent, trustee of a trust, guardian of an incapacitated person, or agent under a power of attorney. Provides custodians of digital assets with standards for responding to requests for access to digital assets by fiduciaries and designated recipients. Enacting the Uniform Power of Attorney Act – Enacts the Uniform Power of Attorney Act, which governs creation, termination, scope of authority, fiduciary duties, and related matters regarding powers of attorney. Repeals current law provisions regarding powers of attorney. Changing the Definition of Slayer – Provides that a person found not guilty by reason of insanity of killing another person qualifies as a “slayer” and may not inherit property or receive any benefit as a result of the deceased person’s death. Concerning Notice Against Trespass – Defines “posting in a conspicuous manner,” in the context of criminal trespass statutes, to include the use of signs, vertical orange paint marks, or both. Encourages the Department of Fish and Wildlife, the Department of Natural Resources, and the State Parks and Recreation Commission to inform the public about the meaning of vertical orange paint marks. Reauthorizing the Medicaid Fraud False Claims Act – Limits the sunset review and termination of the Medicaid Fraud False Claims Act to the qui tam provisions, which allow private parties to bring civil actions for Medicaid fraud on behalf of the state. Extends the sunset review and termination of the qui tam provisions to 2023. Concerning Short-Barreled Rifles – Expands authorized activities with respect to short-barreled rifles and their parts to include, among other things, manufacturing, assembling, and repairing short-barreled rifles, and manufacturing, owning, buying, selling, transporting, or possessing short-barreled rifle parts. Clarifying When a Person is an Acquiring Person of a Target Corporation With More than One Class of Voting Stock – Amends the anti-takeover statute in the Washington Business Corporation Act to use the concept of voting power, rather than voting shares, as the measure for determining when a person becomes an acquiring person or meets other thresholds established in the anti- takeover statute. Clarifying the Venue in Which Coroner’s Inquests are to be Convened and Payment of Related Costs – Requires a superior court, upon request of a coroner, to schedule a courtroom and court staff for an inquest, or to designate a comparable public venue if no courtroom can be made available. Allows transfer of an inquest to another county within 100 miles when no courtroom or comparable public venue is available. States that a county’s responsibility for inquest costs includes superior court costs, as well as any cost associated with transfer of the inquest. Addressing the Rights of Dissenting Members of Cooperative Associations in Certain Mergers – Provides that a member of a rural electric association is not entitled to dissent from a merger to which the association is a party if all members of the association have the right to continue their membership status in the surviving association on substantially similar terms. Developing a Plan for the Consolidation of Traffic-Based Financial Obligations – Tasks the Office of the Attorney General (AGO) with convening a workgroup to provide input and feedback on the development of a plan and program for statewide consolidation of an individual’s traffic-based financial obligations into a unified and affordable payment plan. Requires the AGO to submit a report, by December 1, 2017, detailing its recommendations and the plan and program. Modifying Residential Landlord-Tenant Act Provisions Relating to Tenant Screening, Evictions, and Refunds – Requires residential landlords to notify prospective tenants as to whether “comprehensive reusable tenant screening reports” will be accepted, and defines this and other related terms. Allows courts to order an unlawful detainer action to be of limited dissemination under certain circumstances, and prohibits a tenant screening service provider from disclosing or using the existence of the unlawful detainer action if such an order has been entered. Extends, from 14 days to 21 days, the time within which a residential landlord must refund a tenant’s deposit or provide a statement specifying the basis for retaining some or all of the deposit. Integrating the Treatment Systems for Mental Health and Chemical Dependency – Makes certain short-term changes to the involuntary chemical dependency treatment provisions that largely parallel corresponding involuntary mental health treatment provisions. Integrates the involuntary treatment provisions and systems for chemical dependency and mental health, and integrates other provisions pertaining to minor-initiated and parent-initiated chemical dependency and mental health treatment for minors, effective April 1, 2018. Directs a Washington State Institute for Public Policy study to evaluate the effect of the integration of the involuntary treatment systems. Recodifies provisions related to the administration of local substance use disorder programs into the community mental health system administration code, effective April 1, 2016. Delays the expiration date of a business and occupation tax deduction for amounts received for providing mental health services under a government- funded program, and expands the deduction to apply to provision of chemical dependency services. Requires the Department of Social and Health Services to convene a task force with the Health Care authority to align regulations between behavioral health and primary care settings and review matters related to parental notification of minor-initiated chemical dependency treatment, and collaborate with other agencies to review certain processes related to audits, licensing, and contracting. Concerning Testimonial Privilege for Alcohol and Drug Addiction Recovery Sponsors – Creates a testimonial privilege applicable in civil proceedings that prevents a person who acts as a sponsor in an alcohol or drug addiction recovery fellowship from testifying about communications made to him or her by a person he or she is sponsoring. Coordinating Services and Programs for Foster Youth in Order to Improve Educational Outcomes – Moves responsibility for the demonstration sites to improve educational outcomes for foster youth from the Department of Social and Health Services (DSHS) to the Office of Superintendent of Public Instruction (OSPI). Moves responsibility for the Supplemental Educational Transition Program for foster youth from the DSHS to the Washington Student Achievement Council (WSAC). Requires that the DSHS, the WSAC, and the OSPI submit reports to the Governor and appropriate committees of the Legislature regarding these programs and educational outcomes of foster youth by November 1, 2016, and twice yearly thereafter. Creating the Washington Achieving a Better Life Experience Program – Creates an Achieving a Better Life Experience governing board that must design and implement an Achieving a Better Life Experience savings and investment program for eligible individuals with disabilities by July 1, 2017. Creating the Parent to Parent Program for Individuals with Developmental Disabilities – Requires that the Parent to Parent Program that provides support to parents of individuals with developmental disabilities or special health care needs from other parents that have children with developmental disabilities be funded through the Developmental Disability Administration to a state lead organization. Increasing Access to Adequate and Appropriate Mental Health Services for Children and Youth – Establishes the Children’s Mental Health Work Group to review the barriers that exist in identifying and treating mental health issues in children with a particular focus on birth to age 5, and report to the Legislature by December 1, 2016. Directs the Health Care Authority and the Department of Social and Health Services to identify issues related to network adequacy and report annually to the Legislature on the status of access to behavioral health services for children and youth. Establishes a Partnership Access Line pilot program, in a rural region of the state, to provide an additional level of child mental health care support for primary care providers. Directs the Joint Legislative Audit and Review Committee to conduct an inventory of the mental health service models available to students in schools, school districts, and Educational Service Districts and report its findings to the Legislature by October 31, 2016. Concerning Host Home Programs for Youth – Creates an exemption from foster licensing for certain host homes and host home programs. Requires the Department of Commerce to provide a report to the Governor and Legislature regarding the best practices for host home programs including any recommendations regarding licensing or certifying host home programs by July 1, 2017. Requires that host home programs register with the Secretary of State and affirm that they meet all statutory requirements that allow for licensure exemption. Concerning Child Care Center Licensing Requirements – Allows licensed child care centers to serve children enrolled in kindergarten in a mixed group or classroom, excluding classrooms that serve infants not walking independently. Modifies the definition of “school-age child” to include children through 12 years of age for the purposes of child care. Notifying Foster Parents of Dependency Hearings and their Opportunity to Be Heard in Those Hearings – Requires the Department of Social and Health Services to provide foster parents, pre-adoptive parents, and caregivers with timely and adequate notice of their right to be heard before each dependency court proceeding. Requires a court to make written findings regarding whether foster parents, pre-adoptive parents, or caregivers were notified of dependency court hearings, whether the court received a caregiver’s report, and whether the court provided the foster parents, pre-adoptive parents, or caregivers an opportunity to be heard. Requires the Administrative Office of the Courts to include in their Annual Dependency Report information regarding whether foster parents received timely notification of court hearings and whether caregivers submitted reports to the court. Concerning Mental Health and Chemical Dependency Treatment for Juvenile Offenders – Includes residential treatment for substance abuse, mental health, or co-occurring disorders in community supervision for juvenile offenders. Repeals the juvenile mental health disposition alternative. Adds mental health treatment to the chemical dependency disposition alternative to create the chemical dependency or mental health disposition alternative and makes some changes to that disposition alternative, including expanding the length of inpatient treatment that can be ordered. Extending Dates Concerning Measuring Performance and Performance-Based Contracting of the Child Welfare System – Delays the implementation date for supervising agencies that must deliver child welfare services in demonstration sites from December 30, 2016, to December 30, 2019. Expanding Distribution Dates for Supplemental Nutrition Assistance Program Benefits – Expands the date range that Supplemental Nutrition Assistance Program benefits are distributed from the first through the tenth of every month, to the first through the twentieth. Strengthening Opportunities for the Rehabilitation and Reintegration of Juvenile Offenders – Adds rehabilitation and reintegration of juvenile offenders to the purposes underlying the Juvenile Justice Act of 1977. Maintains court discretion in granting deferred dispositions for juvenile offenders, but provides a strong presumption in favor of granting these when a juvenile is eligible. Provides judicial discretion regarding fines for juveniles found to have committed motor vehicle related offenses. Allows a prosecutor to use his or her discretion to determine whether to file the information as a domestic violence offense if the juvenile offense was committed against a sibling, parent, stepparent, or grandparent. Eliminates the requirement that courts and diversion units notify the Department of Licensing after a juvenile offender’s first offense or diversion agreement for an offense while armed with a firearm or offense related to drugs or alcohol. Concerning the Arrest of 16 and 17 Year Olds for Domestic Violence Assault – Increases the age of mandatory arrest from 16 to 18 years old and older for domestic violence assault. Requires that police officers arrest 16 and 17 year olds for domestic violence assault when the assault occurred within the last four hours and the parent or guardian requests an arrest. Concerning Early Intervention Services for Infants and Toddlers with Disabilities and their Families – Specifies that the Department of Early Learning (DEL) is the lead agency for the Early Support for Infants and Toddlers program. Specifies that the DEL has the authority to develop and adopt rules that establish minimum requirements for the services offered through Part C programs, including allowable allocations and expenditures for transition into Part B. Requires the DEL to develop and submit a plan to the Legislature by December 15, 2016, on comprehensive and coordinated early intervention services for all eligible children with disabilities in accordance with the Individuals with Disabilities Education Act, Part C.
Creating the Parent to Parent Program for Individuals with Developmental Disabilities – Identifies goals and activities of the Parent to Parent program for individuals with special health care needs. Requires that the Parent to Parent program be funded through the Developmental Disability Administration to a state lead organization, if funds are provided. Concerning the Definition of “Agency” for Purposes of Early Learning Programs – Modifies the definition of “agency” to exempt school-age programs that operate in schools and meet specified requirements from licensing by the Department of Early Learning. Providing Protections for Persons with Developmental Disabilities – Requires the Developmental Disabilities Administration to identify clients who have the highest risk of experiencing abuse or neglect and increase home visits for these individuals. Requires the Department of Social and Health Services (DSHS) to conduct a vulnerable adult fatality review when the DSHS has reason to believe the death may be related to abuse, abandonment, exploitation, or neglect, and the individual was receiving services or was the subject of a report with the DSHS. Establishes an Office of the Developmental Disabilities Ombuds to provide ombuds services for individuals with developmental disabilities. Concerning the Development of a Model Policy on Natural Disaster School Infrastructure Recovery – Requires the Washington State School Directors’ Association to develop a model policy addressing the restoration of the safe learning environment that is disrupted by natural disaster impacts to school district infrastructures, and distribute the policy to districts by August 31, 2017. Concerning the Development of a Definition and Model for “Family Engagement Coordinator” and Other Terms Used Interchangeably With it – Requires that the Office of the Education Ombuds, with the Educational Opportunity Gap Oversight and Accountability Committee and other specified organizations to recommend to the Legislature a definition for the term that is variously referred to as “family engagement coordinator,” “parent and family engagement coordinator,” and “parent involvement coordinator,” and a model or framework for such a staff position. Implementing Strategies to Close the Educational Opportunity Gap, Based on the Recommendations of the Educational Opportunity Gap Oversight and Accountability Committee – Prohibits districts from suspending the provision of educational services as a disciplinary action. Prohibits long-term suspension or expulsion as a form of discretionary discipline, limits all suspension or expulsion to the length of an academic term, and requires a reengagement meeting that includes the student’s family. Requires districts to adopt, enforce, and disseminate discipline policies and procedures, and encourages districts to train staff on the policies and procedures. Requires a report on the outcomes of youth in the juvenile justice system. Requires development of cultural competence training for all district staff and encourages this training for certain schools. Requires teachers assigned to the Transitional Bilingual Instruction Program to be endorsed in Bilingual Education or English Language Learner beginning in 2019-20. Requires collection of student data disaggregated by subracial and subethnic categories, to be phased in beginning in 2017-18. Requires posting and disaggregation of racial and ethnic data related to teachers and posting of their average length of service. Requires the Department of Early Learning to create a community information and involvement plan to inform early learning providers of the Early Achievers program. Establishes the Washington Integrated Student Supports Protocol (WISSP) to promote the success of students by coordinating academic and non- academic supports. Creates a work group to determine how to implement the WISSP. Provides that many provisions are subject to funding. Changing the Deadline for Notices of Nonrenewal of Contracts for Certificated School Employees – Provides that if the omnibus appropriations act has not passed the Legislature by the end of the regular legislative session, school districts have until June 15 to send contract nonrenewal notices to certificated employees and transfer notices to administrators being transferred to a subordinate certificated position. Provides that if the omnibus appropriations act has not passed the Legislature by the end of the regular legislative session, Educational Service Districts have until June 15 to send contract nonrenewal notices to certificated employees. Eliminating the Quality Education Council – Eliminates the Quality Education Council (QEC), and eliminates the technical funding formulas working group monitored and overseen by the Legislature and the QEC. Concerning Waivers from the One Hundred Eighty-Day School Year Requirement – Authorizes the State Board of Education (SBE) to continue granting waivers to school districts from the 180-day minimum school year requirement by eliminating an August 31, 2017, expiration of its authority to issue waivers. Deletes a provision specifying that all waivers to the 180-day minimum school year requirement granted to school districts by the SBE expire on August 31, 2017. Requiring School Districts to Include Sexual Abuse as a Topic in Plans Addressing Students’ Emotional or Behavioral Distress – Requires school districts to include specific provisions for possible sexual abuse in required plans for the recognition, initial screening, and response to emotional or behavioral distress in students. Modifies the minimum content requirements for school district plans for the recognition, initial screening, and response to emotional or behavioral distress in students. Concerning Public Schools That are not Common Schools – Re- establishes a charter schools system, with charter schools created separately from the common school system and funded with revenues from the Washington Opportunity Pathways Account. Makes numerous modifications to court-invalidated charter school statutes, including prohibiting local school levy funds from being used for charter schools, prohibiting the conversion of common schools into charter schools, and adding the Superintendent of Public Instruction and the Chair of the State Board of Education to the membership of the Washington State Charter Commission. Concerning Visual Screening in Schools – Requires every board of school directors to provide for screening for both distance and near visual acuity. Concerning Safe Technology use and Digital Citizenship in Public Schools – Requires the Office of the Superintendent of Public Instruction to develop best practices and recommendations for instruction on digital citizenship, Internet safety, and media literacy, in consultation with stakeholders, and report to the Legislature on strategies for statewide implementation. Requires school districts to annually review policies and procedures on electronic resources and Internet safety, beginning in the 2017-18 school year. Expanding the Professional Educator Workforce – Increases teacher recruitment. Requires that certain out-of-state teachers be issued a Washington professional certificate. Provides that certain retired teachers may work as substitute teachers for up to 867 hours per year without a suspension of their pension benefits. Expands Alternative Route to Teacher Certification programs. Increases teacher mentoring support. Adds financial aid programs for individuals wishing to teach in subject or geographic shortage areas or Title I schools. Concerning Cost-Effective Methods for Maintaining and Increasing School Safety – Requires the Washington State Institute for Public Policy to complete an evaluation of how Washington and other states have addressed the funding of school safety and security programs, and to submit a report to the Legislature, the Governor, and the Office of the Superintendent of Public Instruction (OSPI) by December 1, 2017. Requires the OSPI and the School Safety Advisory Committee to hold annual school safety summits with appointed legislators and other participants, subject to the availability of funds appropriated for that purpose. Requires the OSPI to develop an online social and emotional training module for educators. Allows, subject to the availability of funding, educational service districts to implement a regional school safety and security program that is modeled after a regional school safety and security center developed by an educational service district. If we rehabilitated the folks we are “mad” at, we would slash the rate of imprisonment. Are we really afraid of a non-violent drug user? A youth who habitually is truant? The stories are just tragic. Generations of imprisonment. We complain that the families are “broken” and that is where the fault lies, but we created the broken families through a process of institutional racism that locked up fathers starting generations ago. The sins of society are visited on the children. The Seattle Social Justice Film Festival is back! Films will cover all aspects of social justice but, in conjunction with their lead sponsor, Books to Prisoners, this year’s special festival focus will be on issues related to Prisoner Justice. More information here. Celebrating the 40th Anniversary of Books to Prisoners! Join Books to Prisoners for a special Opening Night Celebration screening of Mothers of Bedford as we celebrate the 40th Anniversary of the festival’s Founding Sponsor, Books to Prisoners. Is it possible to become a better mother while serving time in a maximum security prison? Mothers of Bedford, a feature length documentary, follows five women incarcerated in the Bedford Hills Correctional Facility and looks at their lives through the lens of motherhood. The film examines the struggles and joys these five women face as prisoners and mothers. It shows the normal frustrations of parenting as well as the surreal experiences of a child’s first birthday party inside prison, the cell that child lives in with her mother, and the biggest celebration of the year, Mother’s Day in prison! Following the film, there will be a Q&A with Tanya Erzen and Traci Matheson. Tanya Erzen, Ph.D. is a 2013 Soros Justice Fellow and teaches at the University of Puget Sound. She is the director of the Freedom Education Project Puget Sound, a college program in the Washington Corrections Center for Women. FEPPS works in collaboration with the Village, an organization formed by women inside the prison. Since January 2012, FEPPS has offered 20 college courses and a monthly lecture series at the prison taught by professors from the University of Puget Sound, Tacoma Community College, Evergreen and the University of Washington. Traci Matheson spent 11 years at Washington Corrections Center for Women. She is now a full-time student and a hair stylist. I will be presenting on the Prison Industrial Complex at this criminal justice workshop. Would love to see some folks there! Hi! I’d like to share with you a mission that is dear to my heart. Kairos Prison Ministry. In Greek, there are two words for time…chronos and Kairos. Chronos is the time on your watch and Kairos has a meaning more close to “the right or opportune moment.” Any expectant mother can tell you about waiting for Kairos time while being on chronos time. Kairos Prison Ministry delivers a little bit of God’s time to those who are incarcerated. It offers a short course in Christian love and unity to people who have little experience of a supportive, loving community. Often, lives are transformed. Kairos Torch is a ministry for juveniles who are incarcerated. Hey, youth need God’s love too! In Torch, not only are the youth given a Christian retreat, they are given a mature Christian mentor that they meet with for one year. This can often be one of the most stable relationships that a youth may have. This year, here in Washington, Kairos Prison Ministry is holding Torch #1 at King County Youth Detention Center in Seattle. We hope to interrupt the cycle of recidivism that so many youth become trapped in. Kairos for adults has been shown, statistically, to lower the recidivism rate from 70% (or so) to 30%. This is significant! And you can be part of it! There are several ways to support Kairos Prison Ministry. Prayer, Volunteering, and Financial Support just to name a few! If you are interested in any of these, please contact Roberta Newell at rnewell@post.com or Terri Stewart at YCC-Chaplain@thechurchcouncil.org. Bruce Harrel is putting it out there that unemployment is the true penalty to our crimes. Read about how he is working to amend this problem. Read more to have a better understanding on the topic. From NPR at http://www.npr.org/2012/01/16/145175694/legal-scholar-jim-crow-still-exists-in-america You can go there and listen to the entire interview. 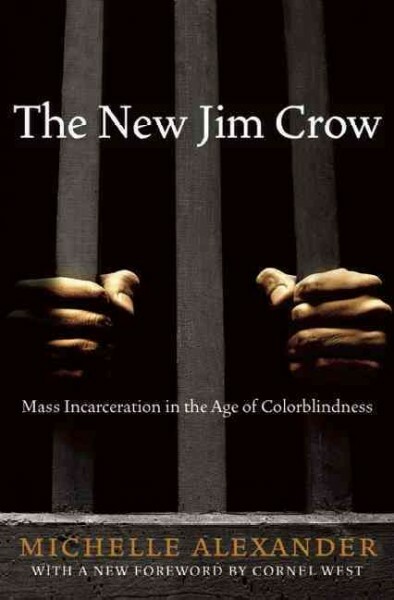 In her book The New Jim Crow: Mass Incarceration in the Age of Colorblindness, legal scholar Michelle Alexander writes that many of the gains of the civil rights movement have been undermined by the mass incarceration of black Americans in the war on drugs. She says that although Jim Crow laws are now off the books, millions of blacks arrested for minor crimes remain marginalized and disfranchised, trapped by a criminal justice system that has forever branded them as felons and denied them basic rights and opportunities that would allow them to become productive, law-abiding citizens. On Monday’s Fresh Air, Alexander details how President Reagan’s war on drugs led to a mass incarceration of black males and the difficulties these felons face after serving their prison sentences. She also details her own experiences working as the director of the Racial Justice Program at the American Civil Liberties Union.